WASHINGTON CITY — Officers from the Washington City Police department have arrested one suspect in an assault that left a man seriously injured in the shared parking lot of El Pollo Loco and Jack in the Box Thursday afternoon. Around 12:20 p.m., an altercation erupted in the parking lot, according to witnesses. One man was taken to the hospital with serious injuries, while the other two men involved fled the scene. The police department asked for the communities help in locating the suspects and were able to find and arrest one suspect. 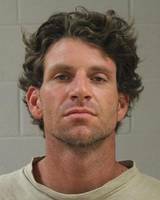 Saturday evening, officers arrested Cody Sandberg, 34, of Washington City based on information received from the public, according to a statement from Washington County Police Public Information Officer Ed Kantor. Sandberg was located and arrested without incident and booked into Washington County’s Purgatory Correctional Facility on one count of simple assault, a Class-A Misdemeanor. According to booking information, Sandberg’s bail stands at $1,012. The Washington City Police Department would like to thank the media outlets that promptly reported this incident as well as the citizens in the community that came forward with information. Without the community partnership we enjoy in Washington County, this case may not have been resolved as quickly as it was. Just curious…how do we know that the injured man wasnt the agressor? I guess you still don’t get reality….lunch hour between two busy restaurants…many people who probably witness said attack…security cameras probably caught some of the attack…Did you just fall off the turnip truck? Right…cuz I know that witnesses always get the whole story…i.e. duke lacrosse team. But I guess if Joe Smith said it happened that way, that must be how it happened! Dont think at all. Glad they got the dirt bag, with cameras everywhere including shopping centers, fast food drive thru’s, intersection’s especially the one right by where this happened oh yeah and that Desert Hills Thunder sticker, figured it wouldn’t take long. Doesn’t like twenty something at all but a harrrd 40 something even though he’s only 34. What? the witnesses saw what happened…..And I know Cody and yes he would do that….He has a temper. Right cuz witnesses always get the whole story. I guess if joe smith said it happened that way, than it must have…Dont think at all!!!! You are implying that a witness must get the whole story to be relevant. This is incorrect. Most witness do not see the whole event, but are called upon to witness what they did see, not speculate on who started what (though, admittedly, many prosecutors will ask anyway). And please show respect to others and their belief systems. Don’t be that guy who is trolling the internet to disrespect others. Belief system??? what are you talking about? Did you really think that when I used the term “joe smith” that it had any bearing on someone’s belief system? I could have just as easily used the name “joe blow”! Not everything is about religion. My point being that just because I say I saw something happen doesn’t mean that I know what preceded that moment. My next point being, lets let this man have his day in court before all us good folks, compassionate folks, and flaw free folks judge him. Bender is going for the hat trick. Watch the county booking sheets this week for your next local felon with middle name Wayne. Awwww. He looks angry. Maybe his mommy didn’t hug him very much. Cody has always been a bully. He’ll always be a bully. Let him stay behind bars where he belongs!